Gracie University would like to announce an exceptional opportunity for U.S. Law Enforcement officers! October 1st-5th, 2018 the US Navy SEALs/SWCCs will be opening their doors for U.S. based Law Enforcement officers. This is a rare opportunity to train with active duty Navy SEALs/ SWCCs on their base in Coronado. 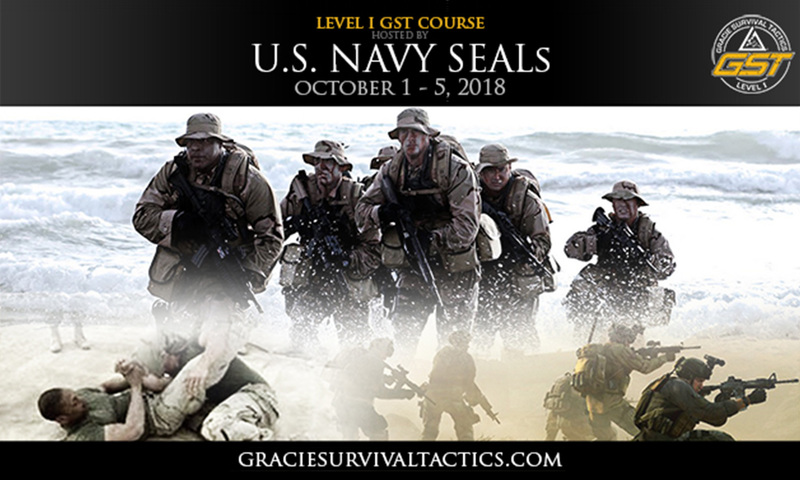 The Navy SEALs/SWCCs will be hosting the Gracie Survival Tactics (GST) Level 1 instructor certification course. The GST system is a revolutionary defensive tactics system that utilizes time-tested techniques that are easy to apply, designed to reduce liability from excessive force allegations and are applicable to CQB/Room Clearing/ High Risk Entry scenarios (CLICK HERE here for more information about the GST system). Additionally, participating LEOs will have the unique opportunity to exchange ideas with the SEAL and SWCC operators.